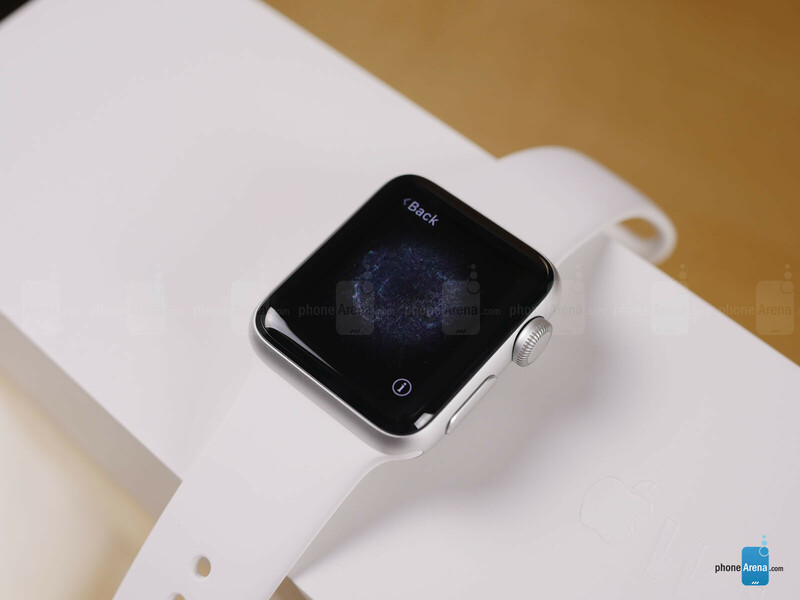 It's been two years now since Apple first introduced us to the Apple Watch, and a little under a year and a half since the smartwatch reached retail availability. Once it landed, it didn't take long at all for Apple to quickly become the force to be reckoned with in the wearables market, and despite the launch of some interesting Android Wear and Tizen-based models since, other manufacturers have struggled to knock Apple off its pedestal. Rather than rush a new smartwatch to market just one short year after its introduction, Apple took its time to figure out what it wanted to change for the second-gen Apple Watch – and what was working so well that it's better off left alone. Now that the Apple Watch Series 2 is upon us, we see a wearable that's increasingly comfortable with its design language, doing as little as possible to differentiate itself from the styling of the original Watch. Instead, we're checking out myriad internal improvements, from a water-resistant build and the introduction of native GPS reception, to a brighter AMOLED display (twice as bright, says Apple), and the arrival of the new S2 chip with its dual-core processor and the promise of greatly enhanced graphics performance. Popping open the Apple Watch Series 2 box, we get to meet the smartwatch itself, along with a few key accessories: Apple's wireless inductive charger and its matching power adapter, along with a secondary strap to help accommodate users of all shapes and sizes. The model we're looking at here is a 38mm Apple Watch, but users who crave an even larger option can go with the 42mm edition. A curved screen variant would seem less 'clunky' and could possibly sell like gangbusters. Tim Cook, you should be reading this. That would be the Gear S.
If Apple copies Samsung then why are't their phones blowing up? Why don't you go charge a Note 7 while holding it in your mouth. What's the big $100 difference between series 1 and 2 both have the same chip and should perform the same right? GPS and a few other hardware differences in series 2. The best real smartwatch in the world. Because it's still the only one with a non-descript square design, where the round watchfaces look really dorky? Because it's still the only one that cannot display the time at all times? Because it's still the only one where you cannot install more than a handful watchfaces? Because the digital crown forces you to use your other hand to operate it? Because it's still the only major platform that doesn't support LTE and therefore still not truly independent from the phone? Because even the aluminium version is more expensive than most stainless steel competitors? Apple Watch is the worst Smartwatch in the world and the only reason that people don't see it is because of its Apple badge. The objective criteria through speak for themselves. I being an Apple fan, totally agree with you about the Apple batch. Yes, the Apple Watch is hideous, yes it lacks LTE, yes it should display the time always and yes the aluminum sport watch is more expensive than other brands most expensive watch, but here's the issue. Everyone who buys Apple doesn't need all those things, I certainly don't need to have full access to my phone. I don't need my watch to have LTE and look foolish talking to your me out in public. I just need it to alert me to text with out pulling my phone out. I just need my phone to send text, emails, browse the web, watch videos and not have to charge my phone every 5 hours like I did and do with every Android I buy. My iPhone 7 plus works so smoothly but I still need my Android medicine and my Nexus 6p is the best Android phone out there. Simple and it works. No clutter bloat ware or TW to slow it down. Yes, but let's face it: without LTE connection smartwatches are just a second screen for quick notifications and Android Wear does notifications better because of the predictive nature of Google Now. Inevitably the Watch had to go the fitness tracker direction and this is what it just is: a very expensive fitness tracker, and probably not the most specialised one. But as a smartwatch it is really, really poor. Everyone who buys Apple trends not to need those things until Apple adopts them. They didn't need 4G in the iPhone. They didn't need water resistance. They didn't need quick settings or notification shade. "Peek and pop" were gimmicks when Samsung did them almost 4 years ago. Dumbing it down makes it smarter? Grow a pair and raise your standards. Apple needs to get some LTE, and bigger battery in here. Just make the waych bigger. In all honesty it looks like a child's watch. I personally would never wear that but to each his own.